Jimmy Page; the mastermind behind Led Zeppelin; their leader, producer, principal songwriter and guitarist. Page has not only shaped the sound of rock music for generations but also created an artistic legacy few others will ever attain. The Omnibus enhanced No Quarter: The Three Lives of Jimmy Page dissects the life and times of this legendary guitar hero and his journey from unassuming session musician to the record-setting king of guitar showmanship. This Omnibus enhanced digital edition includes an interactive Digital Timeline of Jimmy’s life, allowing you to experience his creative genius through music, images, and video. Links to curated playlists for each chapter also allow you to surround yourself with the music of Jimmy Page and all the influences that surrounded him. 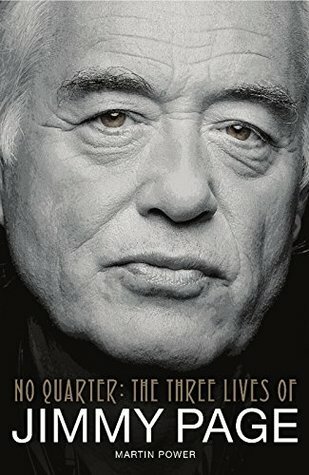 Using new and exclusive interviews, researched through candid conversations with Jimmy Page's friends, managers and musical collaborators, author Martin Power's No Quarter: The Three Lives Of Jimmy Page is a rich and insightful exploration of this mysterious, mythical figure. This work represents the most comprehensive and up-to-date biography ever written about Jimmy Page – The "one-man guitar army".